The 2012 IBS 1000-Yard National Championship was held August 31-Sept. 1 in Peeltree, WV at the White Horse Firearms and Outdoor Education Center. The match went well, with over 80 entries in both Light Gun and Heavy Gun classes. Light Gun and Heavy Gun relays were shot both days. Conditions were generally good, though it did get windy on Saturday. 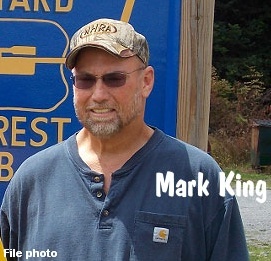 Pennsylvania gunsmith Mark King topped the highly competitive field, placing first in the Two-Gun Grand Overall. Mark shot his trusty 6mm Dashers well in both Light Gun and Heavy Gun divisions to finish with 34 ranking points (lower is better). Mark’s LG had a Broughton barrel, while his HG had a Bartlein barrel. In second place Overall was runner-up Jeff Green with 49 ranking points. Tom Murtiff had a great run with his Light Gun, winning the LG Division after placing first in LG Score and fourth in LG Group. James O’Hara was second in Light Gun, followed by Mark King in third. In Heavy Gun division, the top two positions were separated by a single rank point. Jeffrey Moltern took the HG title after finishing first in HG group and sixth in HG score. Just one rank point behind Moltern in the HG class was Bud Williams, who finished fifth in HG Group and third in HG Score. Share the post "Match Report: 2012 IBS 1000-Yard National Championship in WV"
U.S. Senator Dianne Feinstein (D., California) has pledged to introduce a new, tougher “assault weapons” ban in the next session of Congress. Speaking to California delegates at the Democratic National Convention, Sen. Feinstein stated she would seek passage of an “updated assault weapons bill”, according to the SPCR.org website. Explaining her reasoning behind sponsoring new anti-gun legislation, Feinstein said: “Weapons of war do not belong on our streets, in our classrooms, in our schools or in our movie theatres.” Sen. Feinstein was a co-sponsor of the 1994 Federal ban on many types of semi-automatic rifles. This ban expired in 2004 and has not been revived so far. Share the post "U.S. 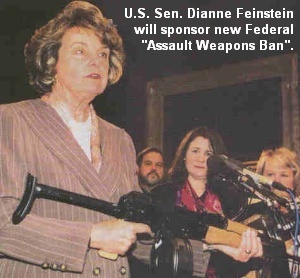 Senator D. Feinstein to Sponsor New “Assault Weapons Ban”"